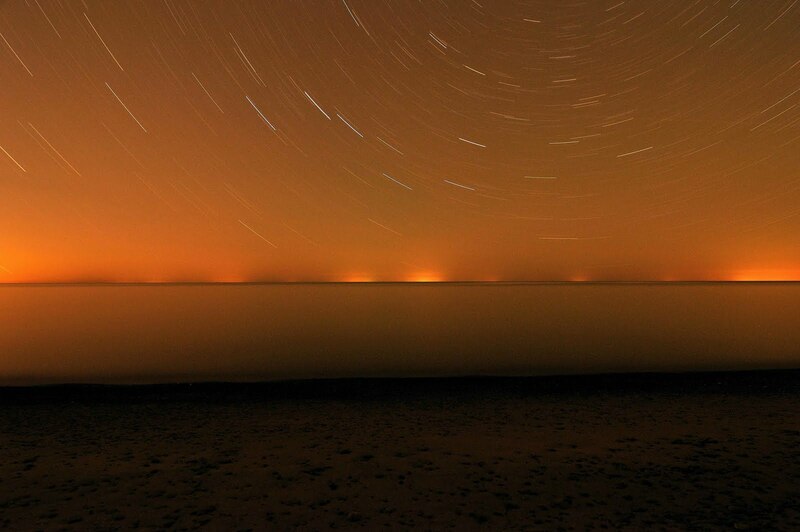 This is a picture of star trails and lake Ontario. Pretty simple really. Set up the tripod. Point it camera north. 30 minute exposure. There you go. Now this is with my white balance set at cloudy. I know that it is not the usual setting for star trails. But i wanted to see what it would produce. I really like it. It is not what you usually see. But then again, I tend to like to break some rules. I think rules are a good place to start. But I already had that shot. So here it is.